Choose from beaches perfect for snorkeling, paddle boarding, surfing or just hanging out with a cold shave ice. 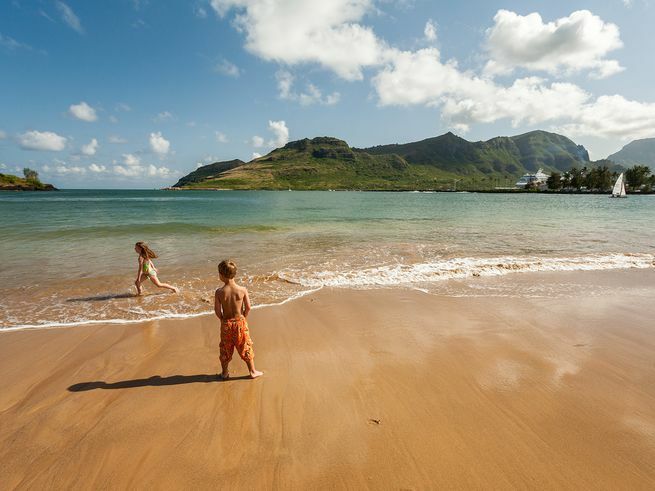 Kauai’s landscape varies greatly, so much so that the island has a beach to suit every mood. Should you be feeling social and sporty, perhaps wanting to take a paddle boarding lesson … Kauai’s got a beach for that. Or, if you’re feeling introverted and would rather have a quiet day of solitude, there’s a Kauai beach for that, too. Or, should you want to enjoy a sunset at a beach so unlike any place you’d find on the mainland, Kauai’s got that, too. 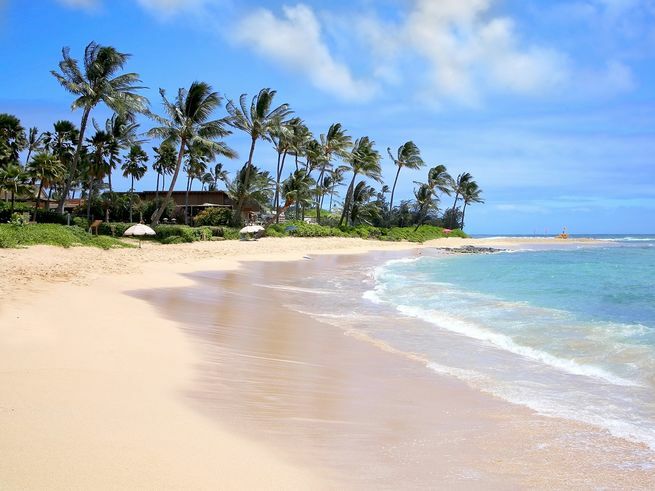 Here are the ten best beaches in Kauai. If you love watersports, plan on spending a whole day at Kalapaki Beach on the southeast side near the Kauai Marriott Beach Resort. The beginner-friendly waves beckon first-timers to try boogie boarding, paddle boarding, surfing or kayaking. Kauai Beach Boys rents surf boards, paddle boards, snorkel sets (including prescription masks) and beach chairs. They also give lessons, which we recommend you take in the morning — followed by a burger and taro fries at the Kalapaki Beach Hut — then take the afternoon to practice. Take a break at Kalapaki Shave ice to try the passion fruit flavor. As you leave Kalapaki Beach, take advantage of the location’s freshwater showers. We love the name of this family-friendly (but not crowded) south shore beach. Little ones will love the flat water and tide pools. Snorkelers will love the fringing reef that offers high odds of green sea turtle sightings. Do note that at low tide uncovers a wide swath of black rocks; they are mostly smooth and forgiving, but better encountered while wearing appropriate footwear. This scenic black-sand beach is one of the best beaches in Kauai, and definitely worth a visit. 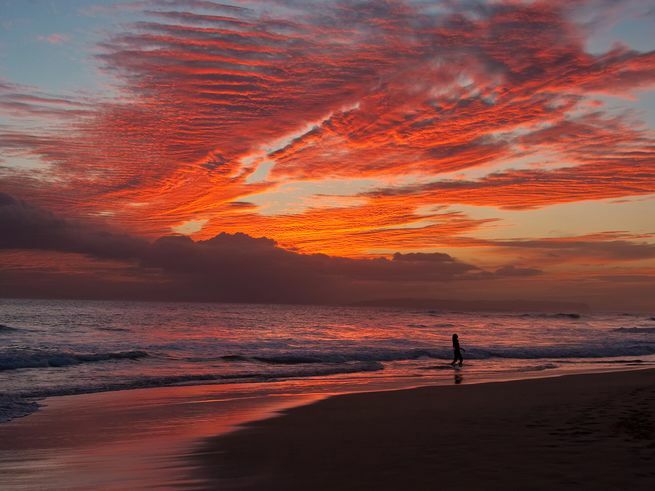 Many visitors to Kauai relish this west-facing beach as a secluded, romantic place to take in the sunset. For others, the appeal lies in the long wooden pier, dating back to the 1900s, offering a unique perspective and connection to Old Hawaii. Kekaha Beach on the west side rates highly in every online trip forum as one of the best beaches in Kauai, and yet, it remains one of the least crowded. This may seem impossible, but thanks to its position along a 12-mile stretch of sand and the fact that driving is allowed on the beach, visitors spread out. Do note that the waves can be high and swimming conditions iffy — which is why Kekaha is a lifeguard-protected beach. We love it for several reasons: the powdery sand, the privacy and the fact that it faces west for prime sunset viewing. Active types will appreciate Shipwreck’s Beach on Kauai’s south shore for two reasons. One, the wave break is ideal for bodysurfing and surfing. Two, hikers can enjoy the Maha’ulepu Heritage Trail, an easy walk 2 miles each way, there and back, before enjoying the beach. As a bonus, the limestone cliffs create a setting so inspired that many local brides host a wedding here. Humpback whales and Hawaiian monk seals are sighted on occasion from this Kauai beach. Add to that a host of facilities, including lifeguards, picnic tables and pavilions, showers and restrooms, and it’s no surprise that this south shore sunbathing paradise is one of the island’s most popular. Can a beach that’s named Secret Beach remain one? 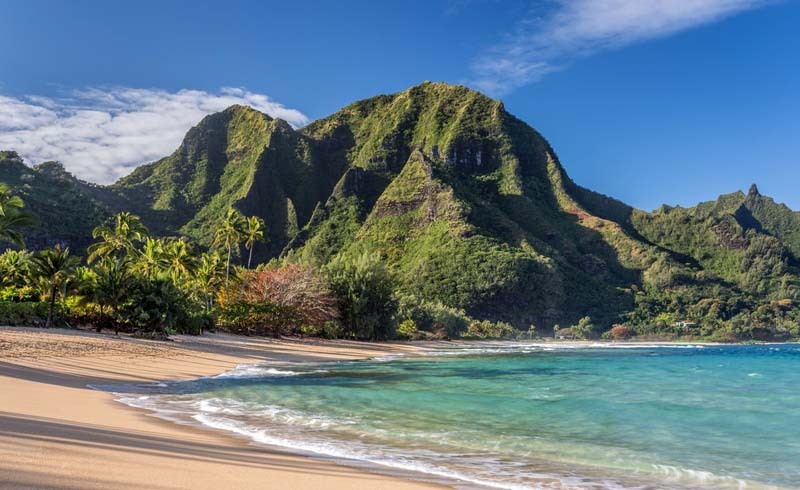 Perhaps not, but what does keep crowds at bay is the fact that beachgoers must walk 10 minutes to reach this north shore spot, which also answers to the local name of Kauapea Beach. If you ask us, hiking through a forest of hala trees only adds to the experience. 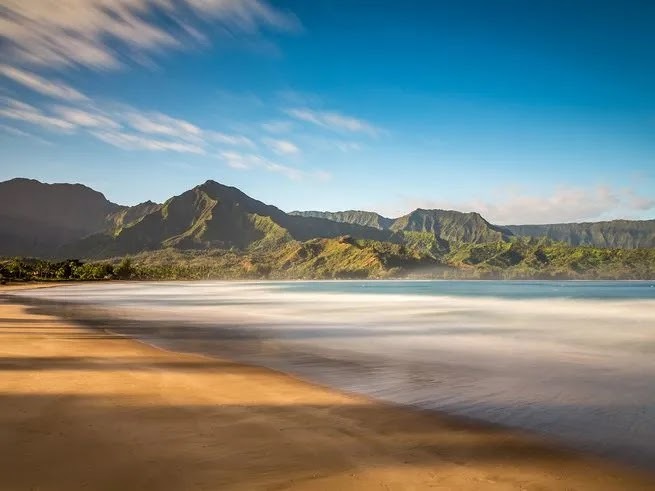 Hanalei Beach remains one of the best beaches in Kauai — and even one of the best beaches in Hawaii — thanks to some incredible natural conditions. The bay is perfectly C shaped, which means that while you soak up the sun on the 2-mile stretch of golden sand, you enjoy views of green-covered mountains to your left and right. Plus, the reef breaks far from shore, giving beachgoers plenty of calmer water inside the bay to splash around in. Although from late October through March, the beach is subject to winter waves as big as 20 feet, making it ideal for surfing, but less relaxing otherwise. 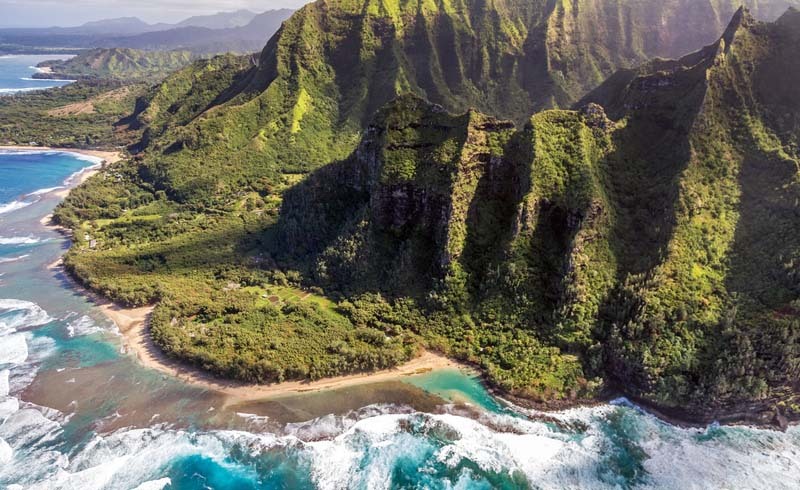 Editor’s note: In April 2018, the north shore of Kauai was affected by heavy rains and flooding. As a result, the two north shore beaches listed below are not currently accessible. The main highway leading to these beaches is closed for repairs from mudslides, but expected to reopen sometime in 2019. We kept these beaches on our list because they are Kauai’s best beaches, and hopefully will soon be accessible again. Haena Beach on the north shore has it all: Calm water, golden sands, a wide swath of beach — plus lifeguards, picnic tables, freshwater showers and restrooms. We love that Mount Makana stands watch just beyond the sand, creating a plethora of photo ops, especially come sunset. Talk about exotic. We love the view from Tunnels Beach, where green folds of mountain tumble down straight to the sea’s edge. When light hits just right, the sandy stretches appear aquamarine, turquoise and dozens of shades in between. Given the abundance of natural beauty, it’s perhaps not surprising that this north shore spot is one of Kauai’s top spots for snorkeling. Find it at mile marker 8 on Highway 560.